As parents, the safety of our children is something that is always on our mind. This can get stressful when we have to send our children to school because, for many of us, this will be the first time we are separated from our child for most of the day. So what can we do to make sure that we can keep our child safe when they are at their Montessori school in Gaithersburg, Maryland? 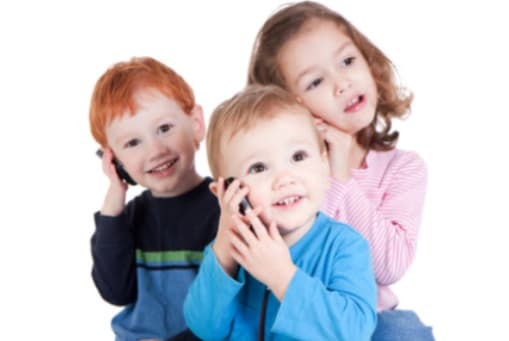 One of the best things that you can do is to have your child memorize your contact information. Make sure they know your address, phone number, and work address. However, children tend to forget things. So it is a good idea to have this information written down and placed in an easily accessible location such as in their jacket or bag. All schools ask for this information but it is still important to keep it on your child for emergencies. To make sure that your child does not go with anyone whom they were not supposed to be with, it is important to teach them a password. This will ensure that they only go with people you authorize. For example, if someone they do not know tries to pick them up from school. They can provide your child with the password to let them know it is safe. There are many different kinds of exciting gadgets and technology that you can use nowadays. One of these devices is GPS tracking. There are many options available to you but one of the best comes in the form of a wristwatch. Your child will enjoy having an awesome watch and you will have the benefit of knowing where they are. Depending on the device you purchase, you may even have the ability to set invisible boundaries that will send an alarm to you if crossed. The child’s safety is indeed a priority for parents. We hope you found the above options helpful in your steps to ensure their safety at all times. If you’re looking for a dependable daycare provider in Maryland where you can also be at peace with your child’s safety, do get in touch with us at Top Hat Montessori for more information anytime. This entry was posted in Child's Safety Tips and tagged Child Care, Child's Safety, Children. Bookmark the permalink.